(Ontario, Canada) The cost of chartering a private jet can be between $1,500 and $15,000 per hour. Several factors can impact the price including location, type of aircraft, timings and how far the flight is going. With so many factors, finding the right charter provider is more challenging than ever before. 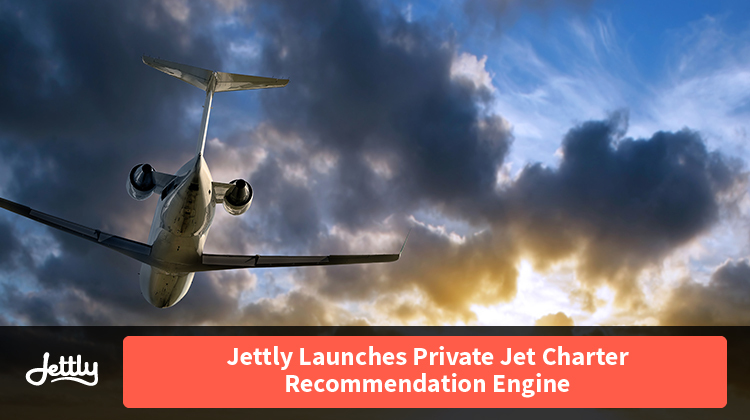 In an effort to try and minimize the stress and hassle of finding a private jet charter, Jettly has launched a private jet charter recommendation engine at https://jettly.com/private_jet_charter. The new tool is designed to search more than 10,000 registered aircraft to help searchers find the best prices and aircraft options for their flight. Once the search begins, the tool presents prices instantly for private jets and real-time aircraft inventory and availability. No longer do searchers have to bounce from site to site to find prices, availability and other information. Jettly has made the process easy and hassle free. The new tool offered at https://jettly.com involves just four steps including searching for the aircraft, receiving price estimates, comparing quotes and then booking the flight. There are no difficult or complicated steps and finding the needed charter flight is simple and seamless. Jettly is a renowned charter broker providing flights for people all over the world. The company takes the hassle and challenge out of finding a quality charter jet by offering superior services that meet the needs of anyone, regardless of where they are headed. Dedicated to constantly reinventing the charter flight process, Jettly is introducing new tools and services to make the process easier, with the latest being a flight recommendation engine. Those in need of charter flight services can count on Jettly for superior services and luxurious travel experiences.